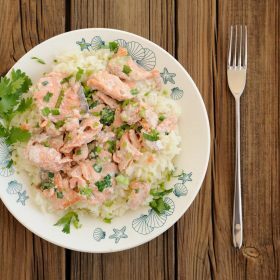 Another filling risotto dish you should try: Risotto with salmon. According to nutrition experts, salmon is one of the sea foods you should definitely be eating more of. Why? Because it does not only make your dishes richer, it’s also packed full of so many health benefits that health nuts the world over are touting it as a super food. Yep, in the same level as superman, supergirl, and super fun guy. Okay, that last part may be kind of a joke (sorry, Sylvester), but you get what I mean. In fact, some scientists call it the ultimate “brain food.” They note the fact that salmons inherently know where to go home to spawn as proof that indeed, genetically, salmons have smart genes. On top of all that healthy goodness, this fish is also considered to be a uniquely delectable meat in the culinary world. It smells less fishy than most fish and its meat is delicate but quite versatile that you can cook it in almost every way you can other meats: fried, baked, steam, grilled, or poached. In some countries, you can even serve it fresh and eaten raw. So what are you waiting for? 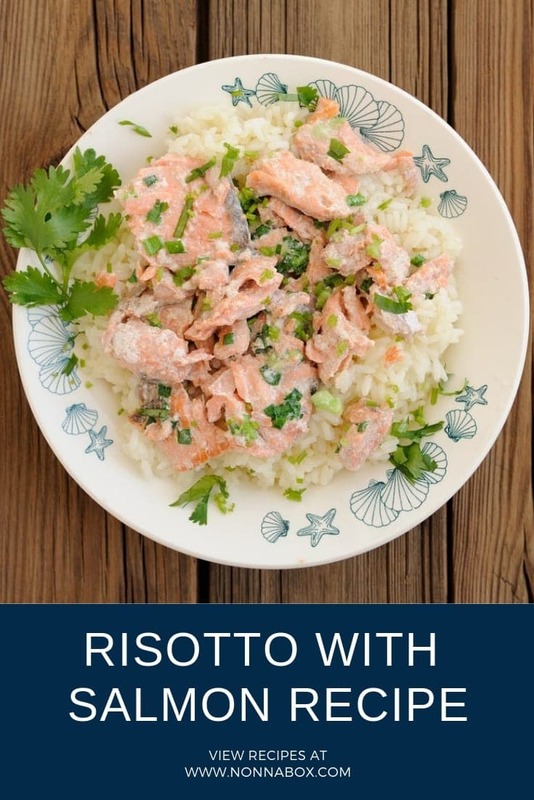 Try this risotto with salmon recipe today! marjoram, and thyme herbs. Add salt to taste. Set aside. cooked, take out the garlic and set aside. Add the rice and cook over high heat for a couple of minutes. Add the white wine, and stir. Then, add the broth gradually. 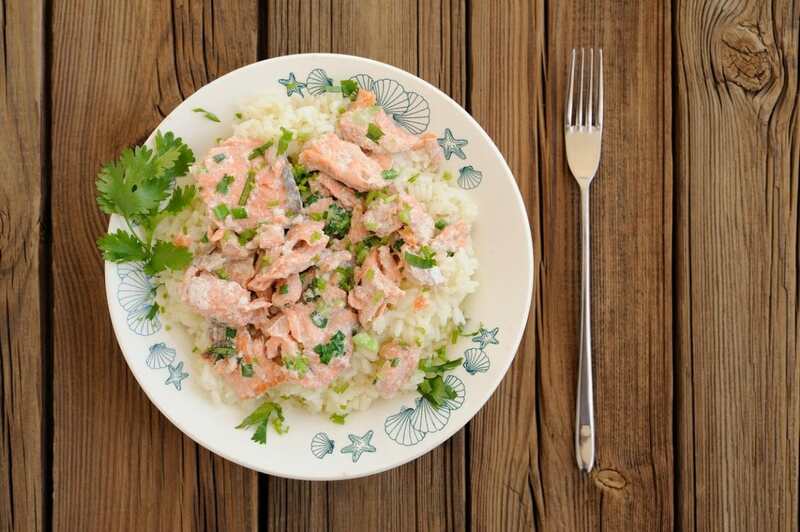 When the rice looks almost cooked, add the previously cooked salmon. Add salt to taste. Cook until rice is well done. Remove from heat and place on a bowl. Add the butter mixture to the cooked rice, along with the Parmesan cheese. Let it stand for a few minutes and then serve. Most seafood dishes are not only yummier, but also healthier compared to other meats. So you should totally try more seafood recipes. And another Italian seafood dish you should totally munch on is this Spaghetti Marinara.